When he isn’t creating massive legal headaches for the president of the United States, Stormy Daniels’s attorney finds time to engineer a few for himself. On Tuesday, a bankruptcy court judge in California hit one of Michael Avenatti’s law firms with a $10 million judgment, after Avenatti failed to deliver on a $2 million promise he had made to a former colleague, the Los Angeles Times reports. To settle his law firm’s bankruptcy, Stormy Daniels’s attorney had promised to pay his former colleague Jason Frank $4.85 million — and agreed that if he failed to make such restitution in a timely matter, then the Eagan Avenatti firm would agree to pay Frank $10 million. Last week, Frank’s first $2 million came due, and Avenatti did not pay up. Frank alleges that Eagan Avenatti owed him millions in unpaid compensation. He had initially tried to collect his due through arbitration, but he says that Avenatti’s law firm failed to comply with the terms of the process, refusing to turn over the tax returns and financial records that Frank needed to calculate precisely what he was owed. And Frank isn’t the only one who’s struggling to collect from Eagan Avenatti — the Internal Revenue Service is having a similar issue. At Tuesday’s hearing, the Justice Department revealed that the firm had defaulted on back taxes it pledged to pay to the IRS under a separate bankruptcy agreement. Eagan Avenatti has paid at least $1.5 million of the $2.4 million it owes Uncle Sam, according to the government, but the firm missed an installment last week. Avenatti decried the Times’ report on his legal troubles Tuesday as “overblown” and “sensational reporting at its finest,” while claiming he does not “owe any taxes” (only one of his law firms does). 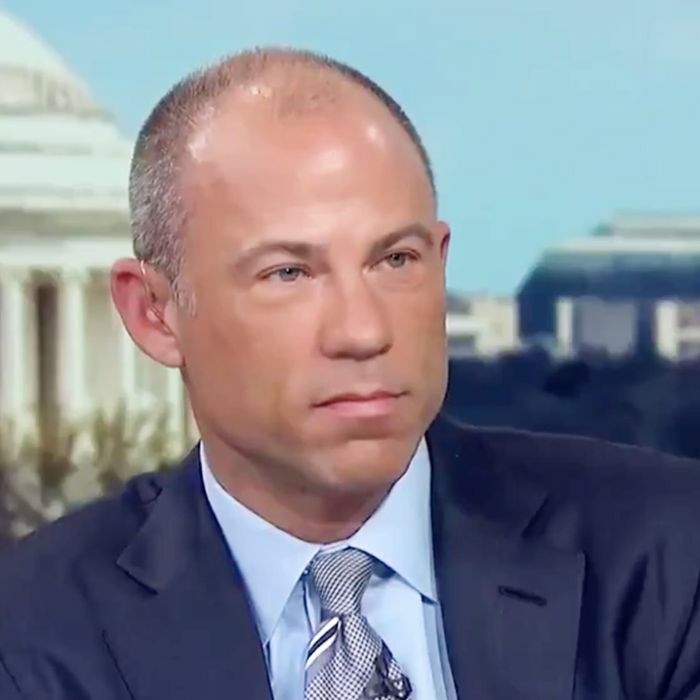 Avenatti does that represent Stormy Daniels through Eagen Avenatti, but rather through a different firm, Avenatti and Associates. Meanwhile, Avenatti alleged in a court filing in New York Tuesday that Trump’s longtime lawyer Michael Cohen has been selectively leaking recorded phone conversations from the tapes that were seized in the FBI raids of his home and office last month. Avenatti did not identify any published media reports that had been based on such recordings.